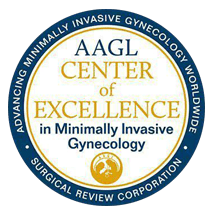 The Center of Excellence in Minimally Invasive Gynecology, known as COEMIG, is a designation awarded to institutions that focus on high-quality care, patient safety, and decreasing the overall cost of patient treatment. It was a huge accomplishment for Westlake Hospital and the physicians who independently received the COEMIG designation. Westlake Hospital was one of the first hospitals in Illinois to receive this designation. We have been thoroughly vetted in terms of the care and the quality of services that we provide. Patients can rest assured because an independent board reviewed us to ensure quality and positive outcomes. We are highly committed to the quality, safety, and the culture of the patient experience. Westlake Hospital has the volume and outcomes to focus on the needs of the patients and provide them with the best care possible. Dr. Lyndon D. Taylor is designated as a COEMIG physician. 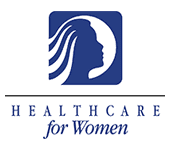 When a woman requiring gynecological surgery is seeking a surgeon and hospital, the COEMIG seal signifies that they have been vetted by an outside board to provide high quality, minimally invasive, and low-cost surgical care. At Westlake Hospital, we provide minimally invasive surgery for women suffering from pelvic pain and abnormal bleeding. The COEMIG seal certifies that the surgery we perform is necessary, minimally invasive, and resolves the problem with a quick, painless recovery. How do you choose a gynecologist and hospital for your surgery? Look for the COEMIG seal.